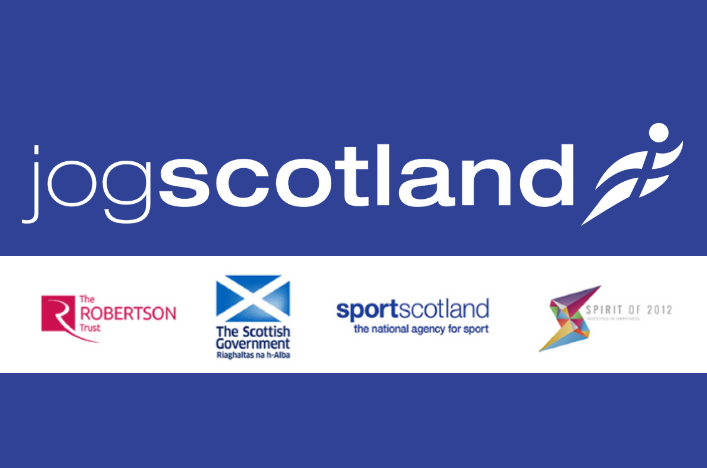 We’re delighted to launch a new initiative today, to help overcome mental health barriers that can stop people getting active. 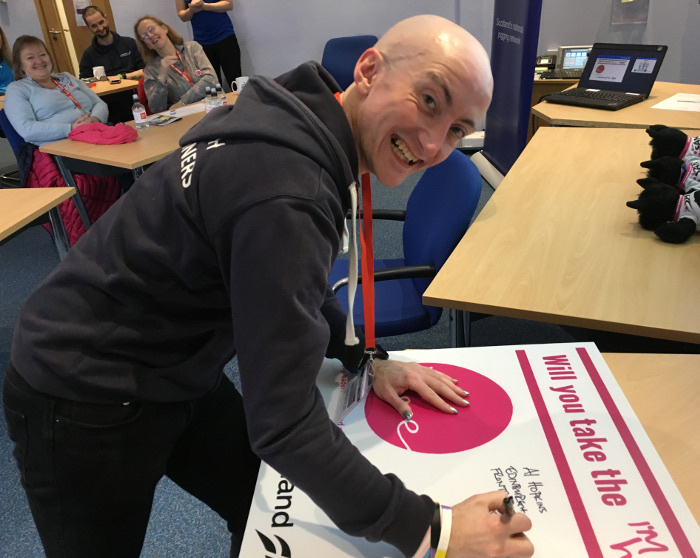 The I’m here campaign will see scores of jogscotland Jog Leaders taking a pledge to support mental health conversations at their jogging groups. 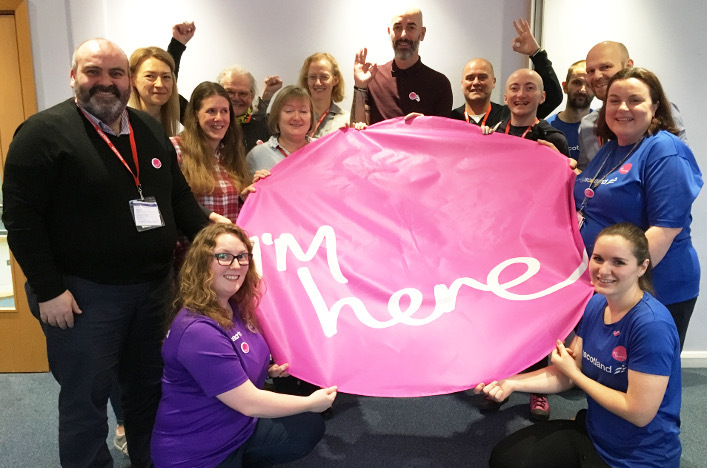 Leaders who take the pledge will wear an I’m here badge which they can use as a tool to start conversations with their members and show that they are open to chatting about mental health. 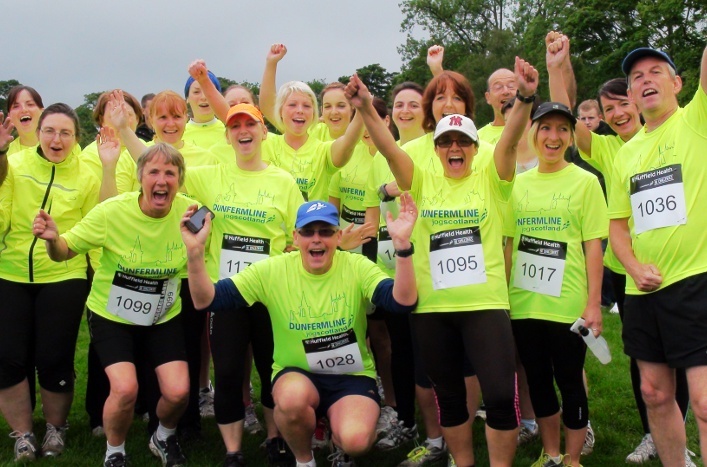 The intention is not to turn Jog Leaders into trained counsellors, but to make them feel more confident to provide a listening ear, and know how to help members find more help if they want it. Jog Leaders are posting videos or pictures of themselves taking their pledge on social media, adding the I’m here facebook frame to their profile pictures, and following through on the pledge with specific actions. Follow us on Facebook and Twitter to see some of the pledges as they are made. Have taken online mental health awareness training provided by our partners SAMH (Scottish Association for Mental Health). Will explain to members that the badge and pledge mean mental health conversations are welcome at their group, and be open to those conversations. Will use their social media platforms to share messages on mental health and physical activity. Will do their best to support people with mental health issues to participate in their groups, listening to their needs and signposting them to further help if necessary. I’m here was launched at the jogscotland HQ in Edinburgh today, with a number of Jog Leaders signing our pledge board. The launch event also heard from Alex McClintock and Adam Allison, who won the SAMH Mental Wellbeing Award at our annual awards. They are leaders at Jog Con, a group based at Perth Prison, which helps inmates get active and improve their physical and mental health. They explained how the group had helped improve the self-esteem of participants and given them a focus on helping their peers. jogscotland membership development officer Jo Stevens said: “We all have mental health, sometimes good, sometimes not so good. 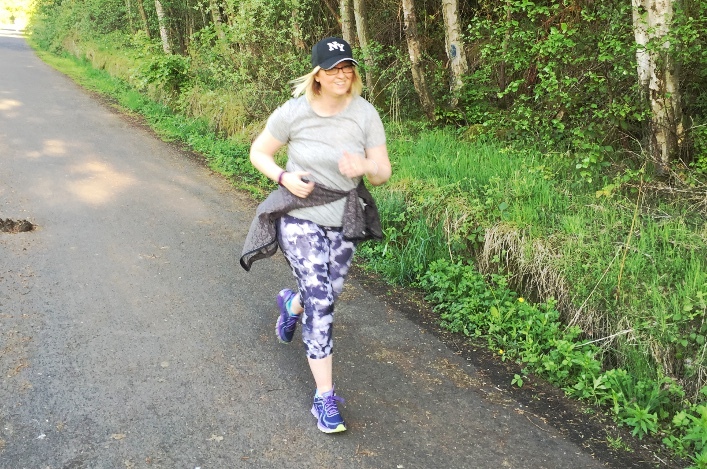 We want to make sure that anybody who wants to get active with jogscotland is made to feel welcome and supported, and believe that mental health challenges shouldn’t stop people from participating. 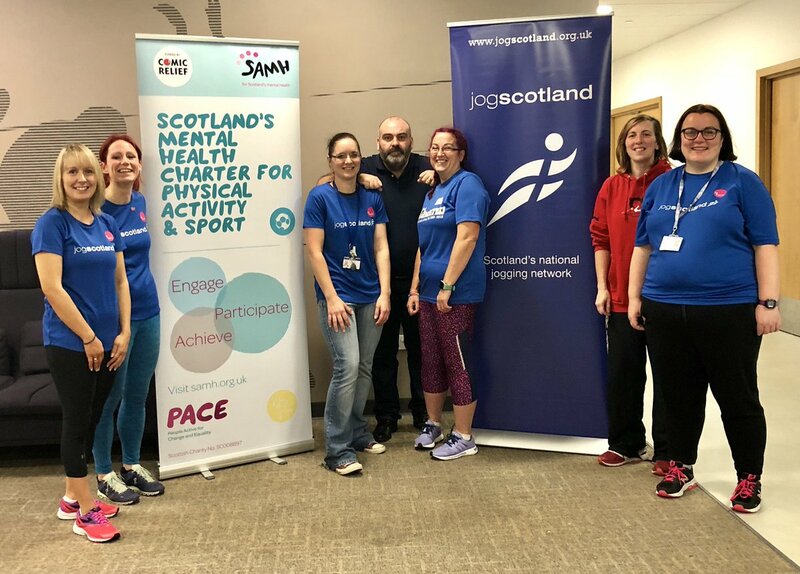 jogscotland works in partnership with SAMH (Scottish Association for Mental Health) to promote the mental health benefits of jogging, and the I’m here initiative is part of the organisation’s action plan as a signatory to SAMH’s Mental Health Charter for Physical Activity and Sport.